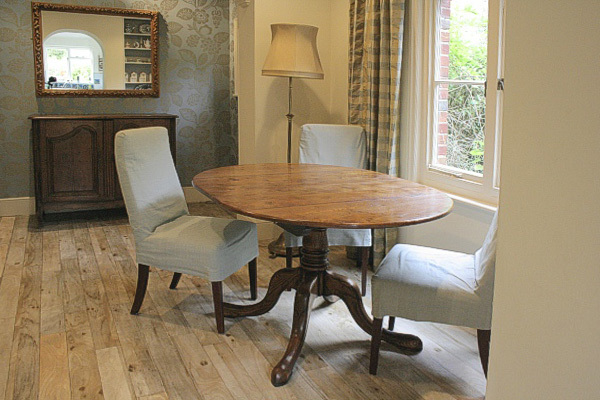 Our Wilmington range extending oak pedestal base dining table, shown here, in the dining room of our clients downland village house, in East Sussex. With our clients present, we were able to work out on our showroom CAD program, the optimum size for the table, both closed and extended, for the available room space. 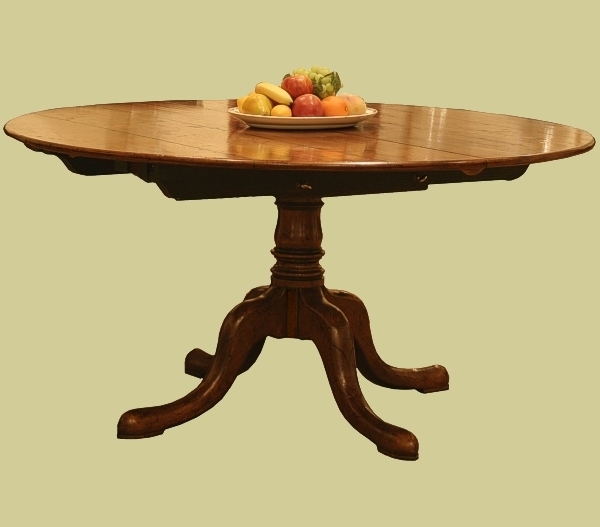 In fact, rather than a true oval, the table top is actually two semi-circles, each having a short straight section added. These slide apart and an additional board can be inserted in the middle, to gain an occasional extra two sitters. The bespoke dimensions, for this particular piece, are 137.5cm extending to 198.5cm x 107cm wide, and the piece was 'Medium Aged' and finished in our 'Raw Sienna' colour.